Blog » Uncategorised » It’s story time with Matt Cosgrove and Alpacas With Maracas! It’s story time with Matt Cosgrove and Alpacas With Maracas! Get ready to shake your maracas with Macca the Alpaca! 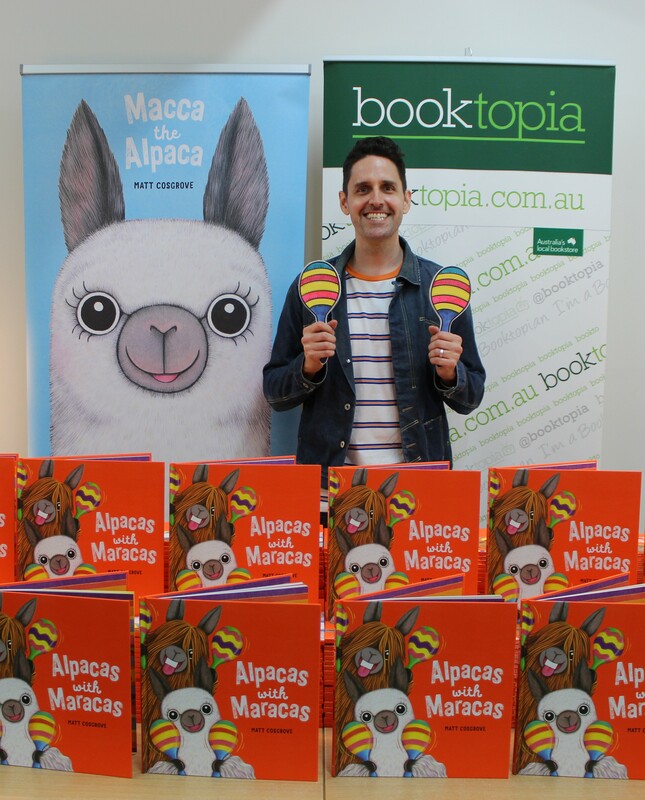 Author, illustrator, and designer extraordinaire Matt Cosgrove dropped into Booktopia HQ this week to do a very special signing of his hilarious picture book Alpacas With Maracas. Because Alpacas With Maracas is this year’s pick for National Simultaneous Storytime! Every year, the Australian Library and Information Association picks one Aussie picture book to be read simultaneously in libraries, schools, pre-schools, childcare centres, homes, and bookshops – basically anywhere you can think of! The goal this year is to get one million kids reading the same book. Yes – you read that right! ONE. MILLION. National Simultaneous Storytime this year is going to be held on Wednesday 22nd May, so mark your calendars right now! This is a super fun event, and we’re all about encouraging kids to read more and enjoy books. 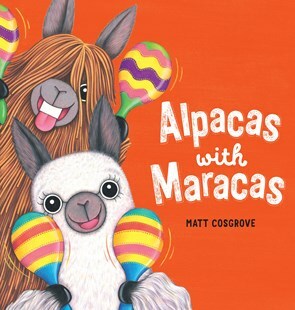 For a limited time only, order Alpacas with Maracas and you’ll receive a copy signed by Matt Cosgrove! This offer is only available while stocks last, so make sure you get in quick. You can also check out the rest of the Macca the Alpcaca picture book series right here! When there is an opportunity to enter a talent contest, they just can't resist. previous postNicole Alexander on Stone Country, a sweeping rural historical novel next postSigned copies of Fire and Blood by George R.R. Martin!